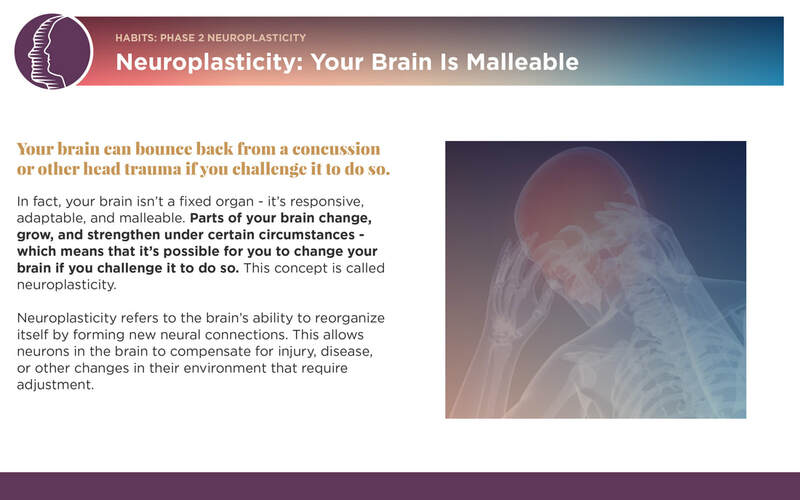 Once you’ve surpassed 8 weeks of recovery time after your concussion, you are no longer considered to be in the acute stage. 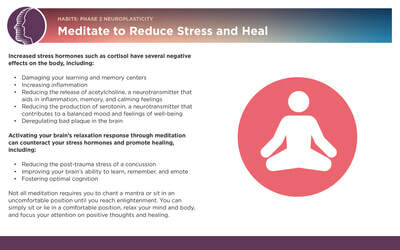 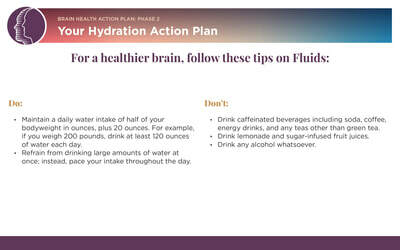 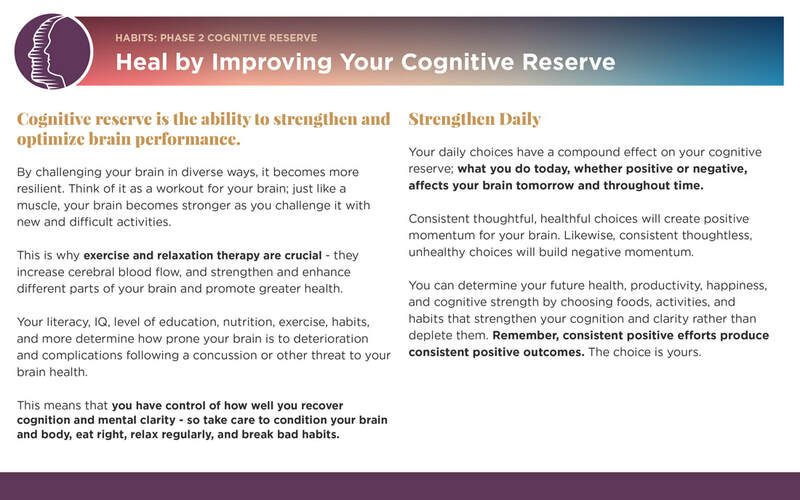 It’s now safe to use scientific strategies designed to strengthen your cognition and clarity. 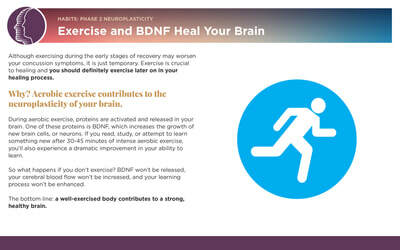 Much like a muscle, the brain can be challenged to improve speed, memory, fluidity, and more with proper conditioning exercises. 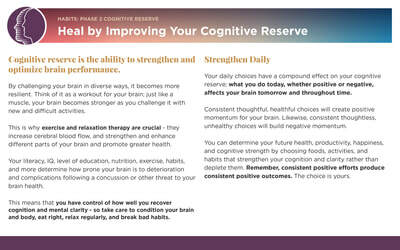 With consistency, you can bolster your cognitive reserve and optimize your brain’s functionality. 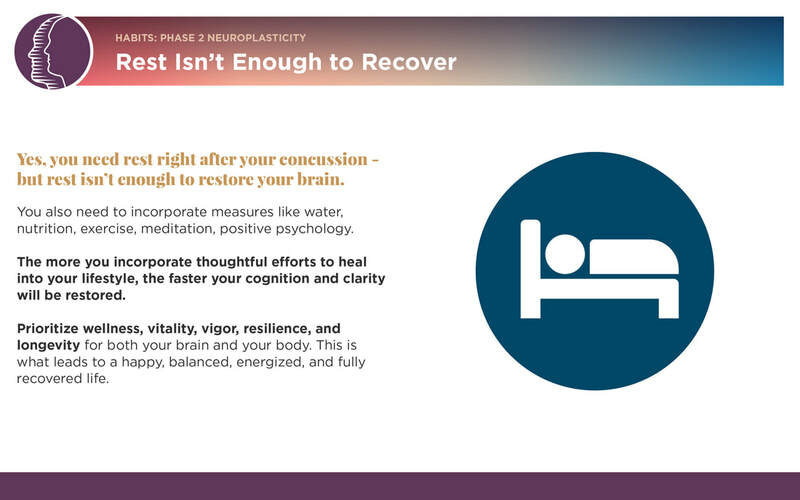 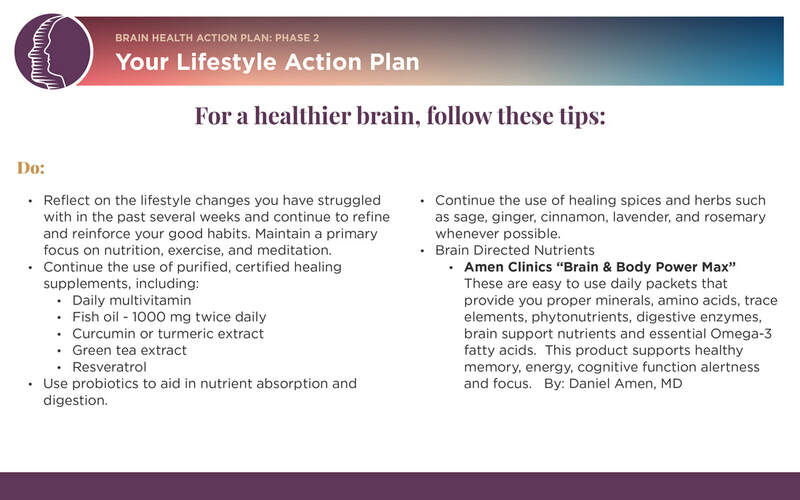 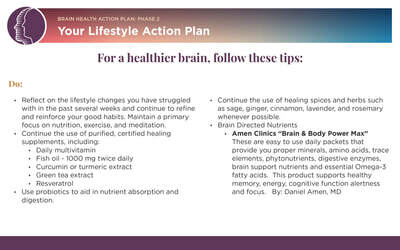 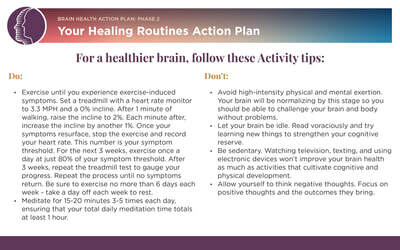 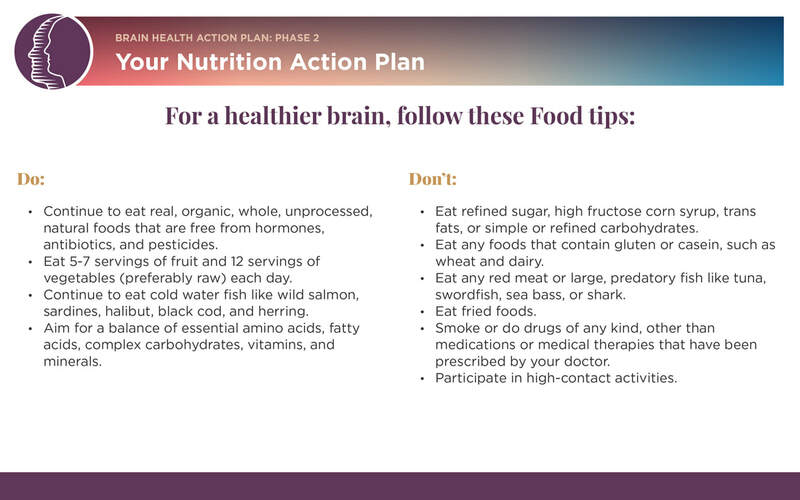 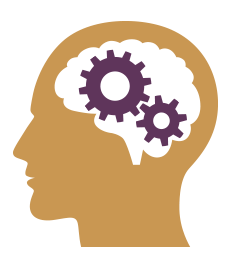 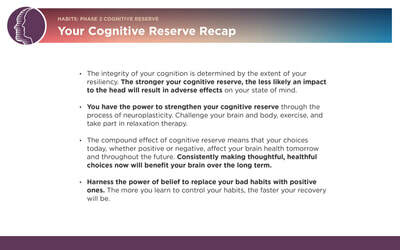 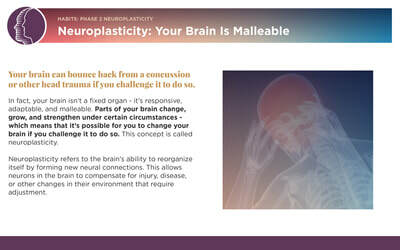 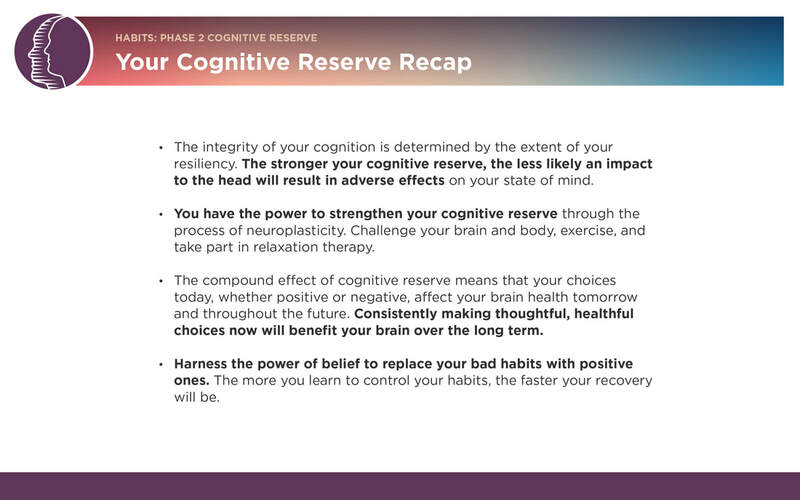 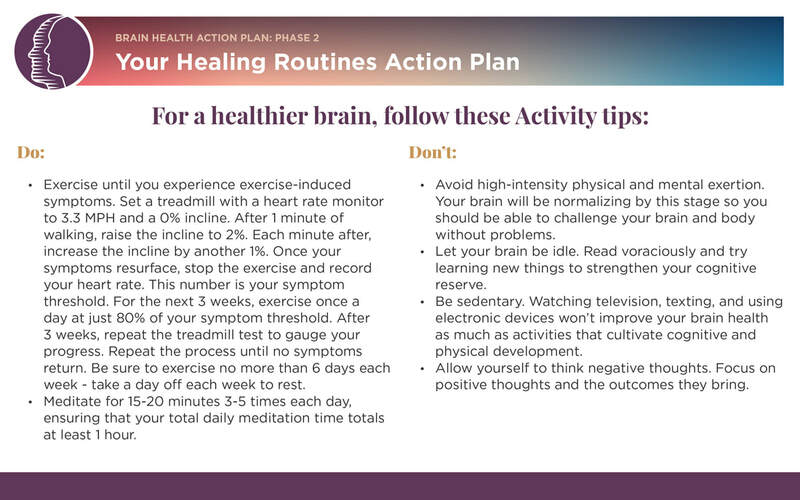 View the slides below for detailed tips about your Phase Two recovery which focuses on Neuroplasticity, Cognitive Reserve and Brain Health Action Plan.